Marco Silva has applauded his old club Watford for creating a fiery atmosphere on his return to Vicarage Road. 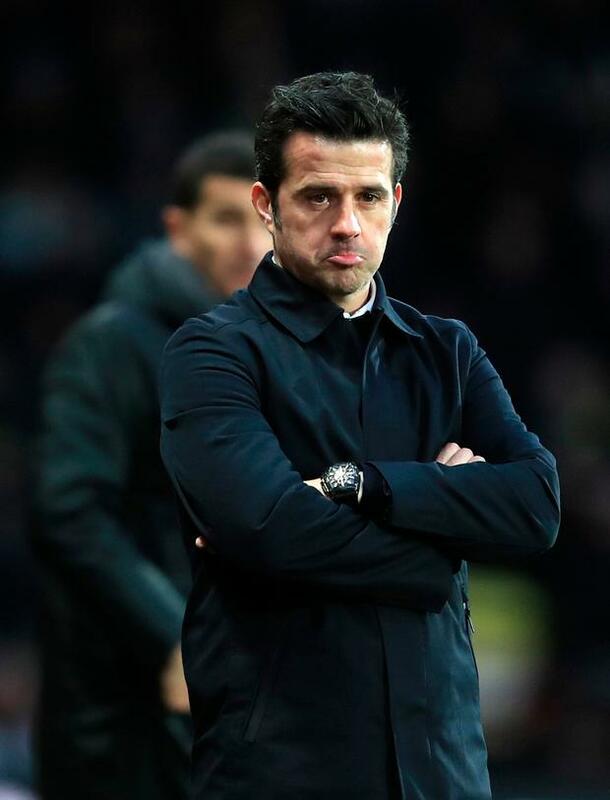 Silva, whose job as Everton manager is under increasing pressure after the Hornets consigned his side to their third consecutive Premier League defeat, was given a hostile reception on Saturday. First, Watford captain Troy Deeney stoked the fire by calling on his team-mates to "kick the s***" out of Everton. Then, Al Wilson's 1960s classic, 'The Snake', was among the pre-match song selection. Silva, sacked by Watford 13 months ago amid suggestions that he had attempted to engineer a move to Everton, also faced a series of derogatory chants. "It was clear the strategy during the week and for sure it was not a players' strategy or a manager's strategy," said Silva. "It was something more than that. "I was a good strategy when you create something for everyone to all go in one way. "Eighty to 90 per cent of the people don't really know the truth - what I am telling you is that I was really welcomed by the people who know me and my work at this club - all of them." Everton have lost nine of their last 13 matches and yesterday it was reported that Leeds manager Marcelo Biesla has been identified as a potential replacement for Silva. The Toffees are ninth - four points adrift of Watford, having played one match more. Andre Gray, rarely used by Silva during his tenure at Watford, scored the winner after 65 minutes.